“Today is not the time for criticizing. Today is the time for cheerleading. Tomorrow, we criticize,” said my venture capitalist friend, responding to my skeptical comments after we attended the presentation for the Capital Cairo project the government wishes to build, at a cost of $45 billion. The desperate need for optimism took away their critical capacities, as many attendees at the Egypt Economic Development Conference left no room whatsoever for even a healthy skepticism. One speaker took the cheerleading very much to heart, shouting “Go Egypt!” repeatedly from the stage, his fist pumped, asking the audience to follow. But after the conference excitement calmed down, sending everyone back to real life after three days in a secluded conference room by the Red Sea basking in the spring sun, taking a step back and evaluating the conference with a clear mind is in order. It is difficult to define what success would be for an event that has had difficulties defining what it is. The conference could not settle on a name, and the “Egypt Economic Development Conference” (or EEDC) had a different name in Arabic: the “Egyptian Economy Support and Development Conference”. While the support element is certainly accurate—the conference was originally set to be a donor conference by “friends of Egypt,” and the opening ceremony was a series of speeches by foreign royal heirs, princes, and dignitaries pledging multi-billion-dollar donations and announcing their support for Egypt and its president—the rest of the conference was a government policy forum, where the state expanded on its macroeconomic and sectorial plans for the years ahead. Although the news coverage focused on photo ops, signings of memoranda of understanding, and the rising tally of investment deals announced every day of the conference (though they had been negotiated days or weeks prior), these were secondary. People meeting in corridors argued about the minister of energy’s plan or the technical merits of the Suez Canal Zone project, networked, learned about each other’s work across sectors, and many attendees found this to be a key success of the conference. At the end, numbers dominated the headlines. Investment Minister Ashraf Salman put the conference’s financial outcome at $38.2 billion in signed deals, in addition to $12.5 billion pledged by Gulf countries. The minister also floated the figure of $92 billion in memoranda of understanding for future deals. As President Abdel Fattah al-Sisi put the figure of funding needed to “rebuild the economy” at $200 to 300 billion a year, one may wonder if the triumphant euphoria was justified, or whether all would be better served if the conference was seen as the success that it was, without being sacralized as it was in the local media. Ultimately, the EEDC should be perceived as an excellent kick-start to the Egyptian economy, without obfuscating the hard work that needs to follow, and with no pretenses that the international goodwill will be repeated every year, along with new editions of the EEDC. 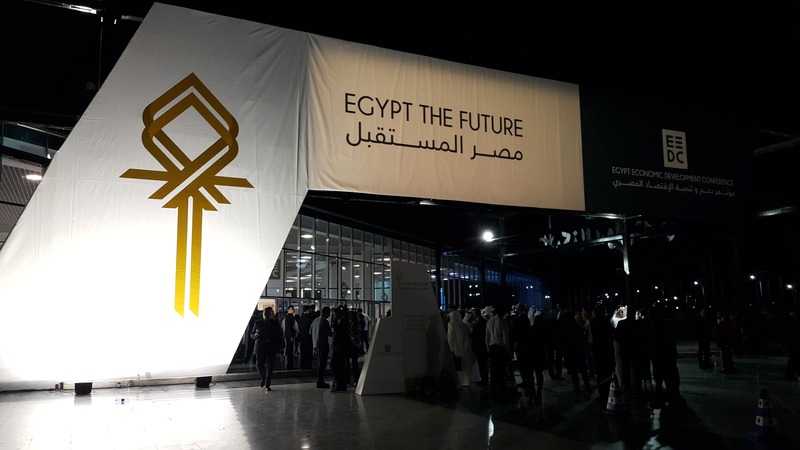 The yearly EEDC gathering—Sisi promised it would become an annual event—should gather the various parts of the investment ecosystem, lower the barriers between economic operators and the government, and shift the discussion to a real development conversation, involving all segments of society and, more importantly, relying on local resources. To offer a more detailed assessment of the conference’s successes, below is a scorecard for what went well and what did not at the EEDC. The government is committed to continue supporting a market, comprehensive, diversified, knowledge-based, and private-sector led economy, characterized by a stable macroeconomic environment, sustainable inclusive growth, maximizing value-added, and generating adequate and productive job opportunities. By 2030, the Egyptian economy will be an active player in the world economy, capable of adjusting to international developments and well positioned to join the ranks of the world’s medium-income countries. But aside from the statement, the document (and Sisi’s speech) included a novelty: actual targets and key performance indicators. For most of the audience, this was a refreshing change. Coupled with the message that this government is here to stay, many economic actors felt confident that this was a government with an action-oriented plan, with difficult but achievable targets if the proper conditions are met. This plan was summarized in a “five-year macroeconomic framework and strategy”, published in English under the title “Strat_EGY”. The strategy lists a plan for restoring macroeconomic stability and supporting growth, through fiscal consolidation, tax reform, public spending prioritization, managing the public debt, a deflationary monetary policy, an export promotion strategy, and other means. Interestingly, attendees were more impressed by the mere existence of this strategy than by its content (which is very reasonable in itself). As it stands, the EEDC has engaged investors on the first step toward an upward spiral. The onus on it remains to sustain this optimism. It takes more than a three-day conference to reboot an economy, but this was an excellent first step. Score: A on creating a positive economic environment. A second and equally successful outcome of the conference has been the creation of an “investment ecosystem gathering” where policymakers and economic agents could meet, discuss, and learn about the work of other sectors. There was an obvious hunger for such dialogue, and hopefully this ecosystem will outlive the conference. However, this investment ecosystem was limited to the larger economic players, chiefly the government’s economic authorities, large companies and investors, some banks, a few international companies operating in Egypt, and has excluded representatives of small and medium enterprises, most independent policy think-tanks, other financing institutions such as microfinance institutions, as well as actors in connected sectors, such as labor or education. Nevertheless, this was an excellent first step. Score: B+, with hopes that this process will be sustained and widened in the future to include more economic actors. Egypt has been ruled by its executive for nearly two years, and more than 200 laws have been passed by the government without a minute of public debate. While this may seem appropriate to proponents of a strong government, it certainly is not for an aspiring democracy. Much of the legislation passed is expected to have an adverse effect on the poorest; the absence of dissenting opinions from the legislation process has meant that no sufficient social mitigation measures were put in place. The government did rely on economic experts, from within and outside Egypt, to develop its economic strategy, perhaps a minor saving grace. The prime minister also claims the strategy involved the input of the private and the nonprofit sector, but a closed consultations process may be as good as moot if it does not involve a diversity of perspectives. Score for participatory policy-making formulation: C+, the low score for lack of participation partially offset by the quality of the end product. “In the private sector, we try to underpromise and overdeliver. This government seems to be doing the opposite,” one businessman told me, shaking his head as he heard of the severely curtailed deadlines that the president has made a habit of imposing on contractors and service providers. While absolutely understandable that the state would wish to unveil its projects in the shortest timeframes, it can be risky to make promises that would only be kept in the unlikely event of a flawless implementation. Recent examples under this very government should serve as a reminder. In March 2014, for instance, the Egyptian army announced a partnership with UAE construction firm Arabtec, aiming at the construction of one million affordable housing units at a cost of $40 billion. The project stalled, however, and a little over a year later, the project is struggling to survive. Even the highly touted “New Suez Canal” has encountered difficulties. The day after the conference, Mada Masr, an online newspaper, reported that the Suez Canal Authority took out $450 million in short-term loans from local banks. The Authority had to contract with two foreign dredging consortia after ambitious deadlines set by the government made it impossible to rely solely on Egyptian companies. The government’s goals and reputation would be better served if it loosened the pressure and accounted for eventual delays or failures. Otherwise, it will only hurt its reputation, and squander the goodwill it has accumulated. Score: C, based on past performance and repeated mistakes. Egypt’s plans for past national projects have alternately inspired its citizens (see the Aswan High Dam) and fallen flat (the Toshka project). 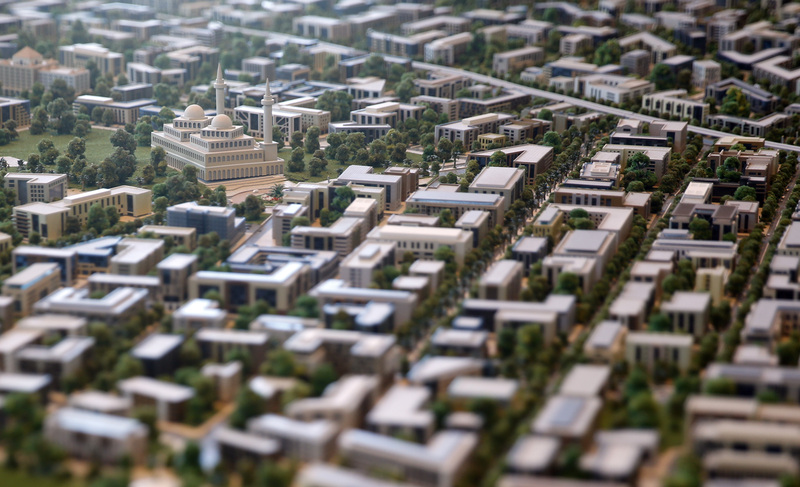 The announced plans for a new capital city for Egypt (project title: The Capital Cairo) which would cost $45 billion USD and would be the size of 12 Manhattans (or the entirety of Singapore) squarely belongs in the latter category. At the very least, its feasibility, social value, adherence to budget, and return on investment are seriously dubious. The new capital’s business and government downtown area (not the entirety of the city, as is sometimes reported) is supposedly due to be completed within seven years. Other grand promises—such as plans to host the soccer World Cup in Egypt in 2028, as announced in one plenary session on the last day of the conference— also fall on the wrong side of the inspiring-unrealistic divide. These megaprojects bear some resemblance to the overpromising and underdelivering discussion above. The deadlines and promised benefits for some of the proposed projects are significantly more remote, perhaps even past the mandate of the leading government officials today, and almost certainly beyond the active memory of the population. Score: D-. There is an infinitesimal chance those projects would pan out, but the projects rely on more unknowns than a Drake equation. While speakers at the conference mentioned social inclusion—not the social justice that has been called for in revolutionary slogans of the past four years—the plan presented tended to be devoid of detail, making just vague, medium-term promises. The government’s macroeconomic strategy, and other official statements, did commit to “increased spending on health, education and Research and Development (up to at least 10% of GDP) as mandated by the constitution” (sic). The conference did include a panel on social inclusion, which, as testimony to the topic’s importance, was held on the morning of the third day of the conference in parallel to four—yes, four—a workshops on various technical aspects of the Suez Canal Zone, arguably the only realistic megaproject in the government’s plans. Despite hosting such heavyweights as Aramex founder Fadi Ghandour who has for years championed bottom-up approaches to growth with the support of the private sector, or Oxford’s Paul Collier, one of the world’s most prominent development economists who specializes in post-conflict and transition economies, the session lasted a grand total of forty minutes, was dominated by a defensive minister of social solidarity, leaving the other panelists precious little time. The government’s “Strat_EGY” included a paragraph on Egypt’s economic performance between 2004 and 2008, noting that growth in that period “did not alleviate rising social and political pressures primarily due to the lack of tailored programs to protect the people’s quality of life.” Nevertheless, the government’s current plan is headed precisely down the same path. Score: A disappointing D for failing to consider the needs of the large segments of its population unrepresented in Sharm el-Sheikh, and forgetting that bread, freedom, and social justice do not merely comprise a slogan that can be swept under the rug, but are necessities and rights. The main reason why so many Egyptian investors and economic agents were present in Sharm el-Sheikh was to hear from the government, and they were not disappointed. Ministers in charge of various portfolios were candid, giving detailed PowerPoint presentations to rooms too full to accommodate overflow audiences, taking unmoderated questions from the floor—a genuinely unfamiliar sight in Egypt. However, the density and importance of such information could not be absorbed on the spot and should not be confined to those participants. The government needs to make speeches, documents, and other materials from the conference available to the public. While the level of transparency we saw in Sharm el-Sheikh will be difficult to replicate, various ministries must begin publishing more information about their work and exposing themselves to inquiries from the public. A good start would be for the documents distributed and presentations used during the EEDC to be made public. So far, only a few documents can be found on the conference website. Score: B+. I am staying positive about this. The level of organization was really near world-class. While a number of inexcusable faux pas occurred—accredited media were not allowed inside the conference hall for a day and a half, nor were they offered meals—denting the perfect score that the organizers were going for, the quality of speakers made up for it. The organizers succeeded in gathering a veritable who’s who of the Egyptian business community, along with some quality guests from overseas. The government had also heavily invested in the use of multimedia—the infographics, video presentations and animations were surprisingly good—and this helped it pass along its message seamlessly. Score: B+, on account of a few organizational errors as well as the unavailability of large parts of the material in Arabic.